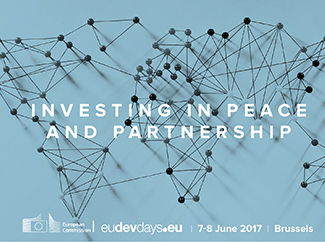 Humana's participation in the European Development Days (Brussels, 7 and 8 June) revolves around two elements. On the one hand, it will have a stand in the so-called EDD Global Village, where the protagonist will be the project 'Renewable energy for rural development', which we carry out with the help of our local partner ADPP in Oio, Guinea-Bissau. On the other hand, Humana organizes on June 7 at 9:30 am in the Tour and Taxis, Room D7, a discussion forum entitled 'Bringing Health Services to Hard-To-Reach migrant mining populations in Southern Africa through Multi-stakeholder partnerships'. The Humana People to People booth at the EDD Global Village, number 36, has been selected from hundreds of third-sector organizations, which gives an idea of ? ?the importance of being present at the EDD Global Village. This is an excellent opportunity to promote networking and exchange of experiences. The Foundation's 'Renewable energy for rural development in Bissora-Oio' project and ADPP is part of the EU's Energy Facility Program based on improving access to sustainable and accessible energy services for rural and peri-urban populations, In this case in the Region of Oio. The project was developed between 2012 and 2016, based on the Farmers Club model, with the participation of 2,600 small farmers. However, the project actually continues thanks to the solid foundations created during the five years of intense work. One of the fundamental aspects of the projects carried out by the Foundation as well as the other organizations that are part of Humana People to People is its sustainability. Among the achievements include, for example, the reduction of the workload for women (for example in obtaining water) and the increase in agricultural production and the incomes of the people involved. 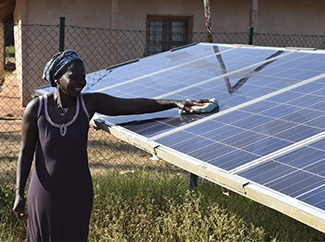 This is partly thanks to the establishment of 26 solar water pumping systems and the construction of seven production centers to facilitate access to processing machines for local crops in the community. In addition, photovoltaic systems have been installed to generate electricity and energy in 51 community facilities, including schools, mosques, health centers and community centers, which has resulted in improved living conditions for the population.